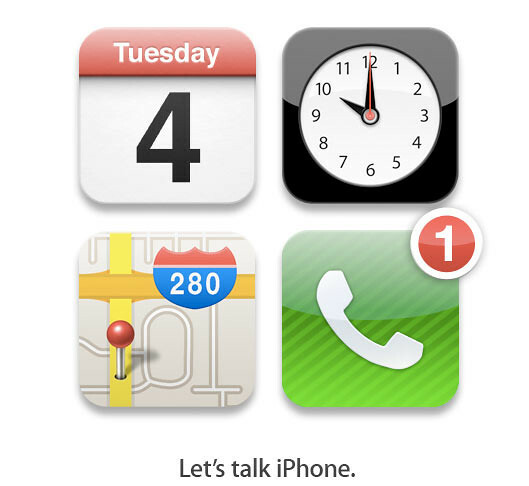 Apple Is Ready To Talk iPhone. Are you? Just few days ago Apple sent out invites to media inviting them to their iPhone keynote which will take place today, 4th October. 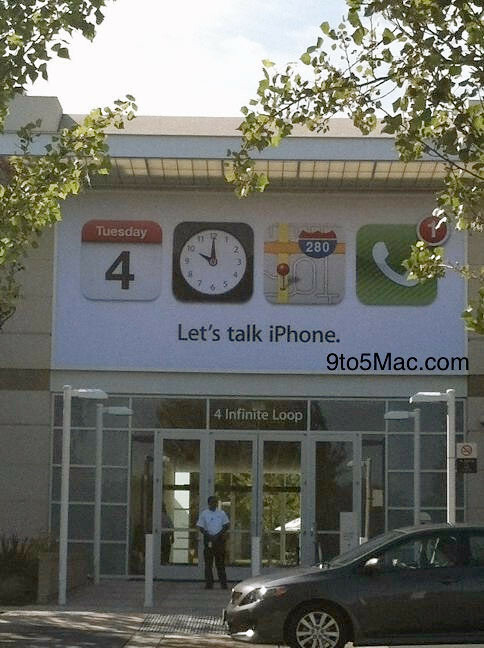 Now that the day is finally here, Apple has put up the “Let’s Talk iPhone” banner at their campus auditorium. The banner at building 4 of the Cupertino home base shows the same icons as the ones placed on the event invitations to the media. Now that Apple is ready… what about YOU? Malaysians, catch this iPhone keynote at about 1am, 5th Oct. We will update you if there is a live stream.